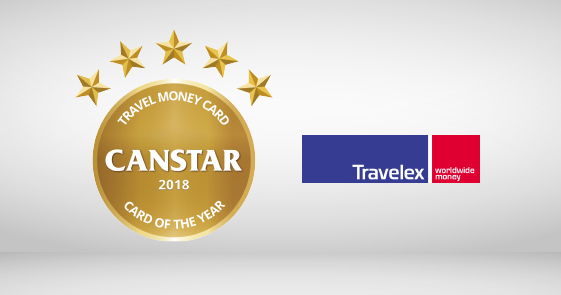 From six travel money cards across six providers, Travelex has picked up the Canstar Card of the Year – Travel Money Card. We caught up with Dion Jensen, Travelex commercial director, to find out more about how travellers can get the most out of their travel card, as well as any specific benefits Travelex offers. What are the advantages of using a travel money card, compared with other options? 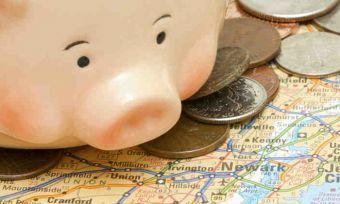 A travel money card is a more convenient and safer way of carrying your travel money overseas. Many are chip and pin protected and not linked to your bank account like a regular credit or debit card. Pre-loading your currency onto a travel money card also gives you more control of your travel budget than a standard debit or credit card. In addition to this, certain travel cards – like the Travelex Money Card – do not charge any international ATM or transaction fees^ on purchases, making it easier to manage your overseas spending. What specific benefits can customers get if they sign up to a Travelex money card? The Travelex Money Card ** is a prepaid MasterCard® currency card designed specifically for overseas travel. You can load multiple currencies onto your card and use it at millions of locations worldwide where MasterCard® is accepted. Multiple Currencies Available: You can load up to 9 currencies onto one card – USD, EUR, AUD, GBP, HKD, SGD, CAD, JPY and NZD. Lock in your Exchange Rate*: Your travel funds are ‘locked in’ on the day you purchase the card in store or online with the foreign exchange rate for the currency of the country you plan to visit. This means if the exchange rate declines while you’re overseas you’ll still have the same amount of travel funds you loaded onto the card. Safety and Security: If your card is lost or stolen we offer 24/7 global assistance to replace it quickly and securely or provide you with emergency cash. ATM fees^: Withdraw money from ATMs overseas knowing that Travelex won’t charge you any ATM fees^. Easy Top Up: Top up easily online at www.travelex.co.nz or at any Travelex store in New Zealand. Additional Card: Option to purchase an additional Travelex Money Card as a backup to use only if your primary card is damaged, lost, misused or stolen. Also, be sure to take full advantage of the platinum benefits offered with your Travelex Money Card. Free Global Wifi#: The Travelex Money Card offers its purchasers free global Wifi at Boingo hotspots so you can stay in touch with loved ones while you’re away. (Please note that Wifi is limited to three months from registration and when you make additional top ups). Merchant Offers and Deals: Enjoy impressive merchant offers, including discounted day trips, walking tours, theatre tickets, fun-filled attractions and much more from Golden Tours. Check out goldentours.com for more information. MasterCard® Travel Assistance: Travel assistance can be used before, during, and even after your trip when you return home. As part of your Travelex Money Card you can travel with additional peace of mind knowing that Travel Assistance is just one call away. ^ Please be advised that although Travelex do not charge ATM fees, some operators may charge their own fee or set their own limits. Please check with the ATM before using. * Lock in your exchange rates mean the exchange rate is locked in for the initial load only. The exchange rates for subsequent reloads will be set at the prevailing exchange rate at the time of the transaction. **Travelex Money Card is an unsecured debt security issued by Travelex Card Services Limited, a member of the Travelex group. Travelex Money Card is not guaranteed by any member of the Travelex group or any of its related companies or any other entity. 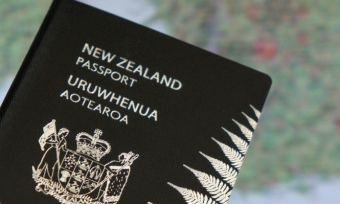 A Product Disclosure Statement is available free of charge from travelex.co.nz. Information has been prepared without taking into account your objectives, financial situation or needs and you should consider the appropriateness of the information about the Travelex Money Card facility before making any decisions about whether to acquire or continue using the prepaid facility. Mastercard® and the Mastercard brand mark are registered trademarks, and the circles design is a trademark of Mastercard International Incorporated. # Wifi is provided by Boingo hotspots. How can travellers protect themselves against theft when using a travel money card? Travellers can protect themselves by choosing a travel money card that offers global assistance and fast solutions to either replace the card or provide emergency funds so that the theft of a travel money card doesn’t result in a holiday being ruined. In addition, look for a travel money card that has the option of a second card to use in case the first card is lost, stolen, damaged or misused. How can customers avoid added fees when using a travel money card? Customers should look for a travel money card provider that doesn’t charge ATM or merchant fees when using the card overseas. Customers should be aware though that other fees and charges may apply. Some foreign retailers and ATM operators give cardholders the choice of paying in either the currency of the country they’re visiting or their own home currency. If you’ve loaded funds in the currency of the country you’re in, you may choose not to pay in your home currency and instead pay in the currency of the country you’re visiting. If you opt to pay for a transaction in a currency other than the local currency, you may incur additional charges. How can travellers track their spending when using a travel money card? Different travel money card providers have different ways for customers to track spending. With a Travelex Money Card, our customers can use ‘My Account’, which is an online card services tool, where (once a Travelex Money Card is registered) customers can check their balance, obtain a PIN reminder, move money from one currency to another and review transaction history and balance. 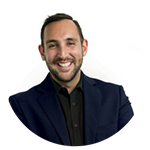 Travelex received the award based on their market-leading exchange rates and feature set that it offers customers, Canstar NZ general manager Jose George says. “At the time of rating, Travelex outperformed their rivals in the travel cost scenarios considered in the award, offering highly competitive exchange rates across all currencies considered,” Mr George says. Travelex also skips the charges that many other travel money cards have: load, reload and ATM fees. Travelex offers a strong accessibility features, including the ability to make multiple same day reloads, via Billpay, third party networks, Travelex kiosks and participating outlets, Mr George says.